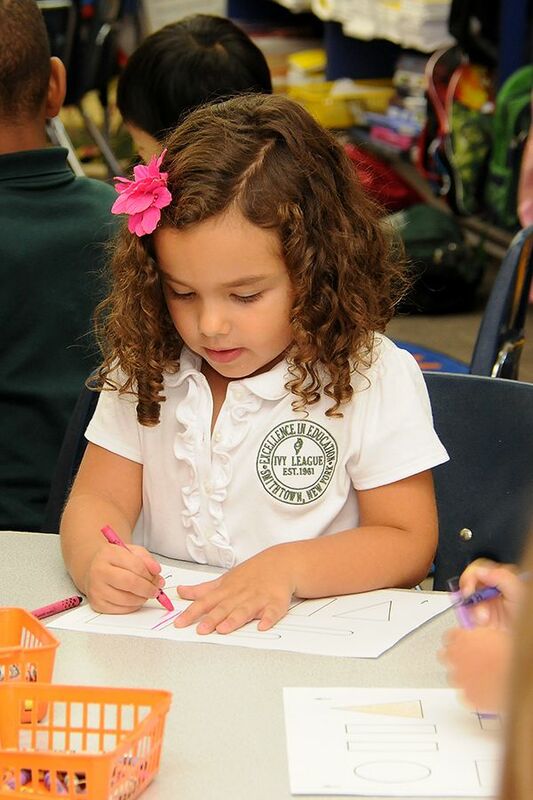 Ivy League’s Lower Elementary School is dedicated to fueling a passion for learning. Our goal is to provide an optimal educational environment where your youngster can engage in challenging tasks, receive the support of interested adults and be successful. At Ivy League, no child falls under the radar. Our classes are small by design, and a systematic and sequential curriculum ensures that each child acquires a strong foundation in the skills necessary to succeed in the later grades. Our teachers communicate often with each other and with you about your child’s progress. Ivy League’s lower elementary school takes pride in its carefully constructed academic curriculum, mindful of students’ learning differences in rate and style. Using state of the art methods and materials, teachers create a stress free environment and a can do attitude, where there is time for youngsters to make new friends, have fun on our playgrounds, perform in plays, sing, create, take field trips, celebrate holidays together, enjoy our campus and love being at school. The hallmark of Ivy League’s K-2 program is a Readers and Writers Workshop Curriculum which makes strong connections between reading, writing, listening and speaking. 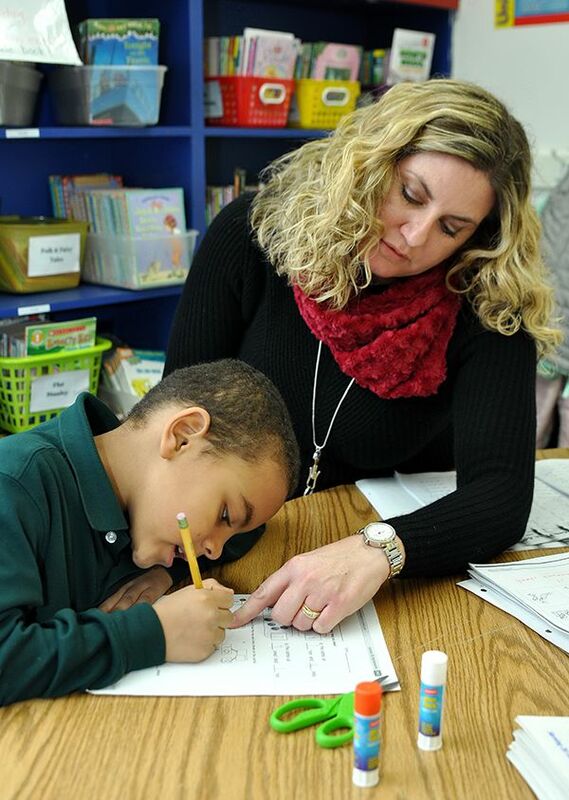 Throughout the lower elementary grades, teachers work with their young students to build a strong foundation of reading skills including phonemic awareness, word recognition and reading fluency - the building blocks which students should acquire to be successful within other subject matter and later grades. Ivy League classrooms are filled with a wide range of high quality books, challenging fiction and nonfiction from diverse cultures and time periods. Exposure to a vast range of good literature throughout these grades provides students with excellent models and inspiration for their own writing. To create a common vision of what good writing looks like, all grades use the 6 + 1 Writing Program for assessing progress. This framework defines the essential components of writing (organization, voice, sentence, fluency, word choice, spelling, grammar and presentation) and pinpoints students’ strengths and weaknesses as they learn to write for pleasure or to convey information. Each year, Living Literature presentations and a Parents as Reading Partners (PARP) program provide opportunities for children to share their literary prowess with family and friends. Ivy League’s lower elementary mathematics curriculum is based on content areas as recommended by the National Council of Teachers of Mathematics for this age group. At varying degrees of difficulty, students develop a deep understanding of the properties of numbers and operations, attributes of geometric shape, simple statistics and conceptual skills for mathematical reasoning. Sufficient instructional strategies and resources allow teachers to identify errors and misconceptions along with their underlying reasons. Students are grouped for instruction and those with exceptional talent or interest are provided with additional challenges. As students progress they acquire a deep understanding of big ideas within numbers and their meaning. Drills and practice exercises along with mental math increase students’ fluency and accuracy and are also part of the curriculum. Social studies empowers students to understand and appreciate the values and principles of a democracy and their rights, responsibilities and roles as citizens of this nation and the world. Our comprehensive program moves children from the familiar to the new, from local governments and communities and environments to long ago and faraway places, and from the concrete to the abstract. Embedded in this interdisciplinary subject are important concepts taken from archeology, geography, history, government, sociology and the arts. In the lower elementary school, children learn about people, places and events by reading nonfiction texts, field trips, and SMART Board® technology. They express what they are learning about through building models, creating individual and group projects, writing, or dramatic reenactments. By the end of 2nd grade there is increased emphasis on inquiry and communication skills as students make use of our library to collect and organize information, and to share their knowledge through written reports and multimedia presentations. With young children, understanding the process of scientific inquiry is as important as knowing the subject matter. 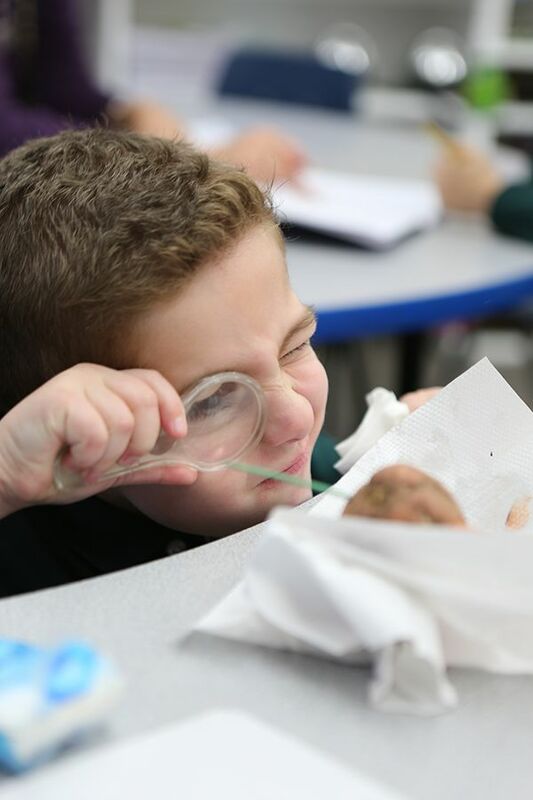 In the lower elementary school, science is integrated into the life of the classroom. Teachers make use of special mini-labs, the internet and nonfiction texts as children learn to observe, describe and discriminate by examining properties of living and non-living objects and organisms. They explore cause and effect relationships and relationships between form and function. As children progress through the grades, more abstract concepts such as matter, energy, motion, time, space and forces are given broad coverage. The development of problem-solving and reasoning skills such as hypothesizing, collecting, organizing, and analyzing data about the topic under study, empower students to participate in an ever increasing scientific and technological world. Personal investigations and group projects are honored through either the Young Inventors Program or the Brookhaven National Laboratory’s Science Fair. As early as kindergarten, children at Ivy League participate in field trips as a way of enriching understandings in almost every subject. Students may venture into the community to learn about its government and resources, visit the Suffolk County Farm-Cornell Cooperative Extension to get hands-on experience of what farming is really about, or the Vanderbilt Planetarium to view the solar system. A day at the Museum of Natural History in New York City provides our students with an unparalleled encounter with Dinosaurs. We also work closely with the Cornell Cooperative Extension service which provides workshops tailored to students’ study of plant and animal life. New field trip destinations are selected each year as children add experience about theatre or musical productions to augment and supplement their literacy studies. Because we do not have to go through bureaucratic channels, we are able to visit various venues as the interest or need to learn arises. About 5 to 6 field trips are taken annually per class. Though not a “curriculum” in the usual sense, character development is integral to student learning. Each classroom is viewed as a community of learners. Small class size allows students to know each other as individuals and respect and care for one another. By holding students to high standards, and insisting that work be thoughtfully done, children are helped to become responsible and disciplined students. Good literature, social studies units and situations which arise in the classroom setting provide additional opportunities for students to recognize the values of hard work, perseverance and personal responsibility. Lower elementary school students experience a wide variety of activities in Ivy League’s athletic program. A physical education specialist works with students on skills such as hand-eye coordination, spatial awareness and creative movement. Through modified games and relays, active students learn sportsmanship, perseverance and teamwork. Access to our grounds, including tennis courts and appropriately sized ball fields, gives children added opportunities to use their high energy level in learning a variety of sports and gain confidence as they try new things. In the Fall and Spring (weather permitting), students have the opportunity to enjoy a swim in one of our heated pools. In addition to a formal physical education program, our recess aides help children organize games and engage in productive play at the various climbing structures available on our campus.